EA has announced that they are releasing a Star Wars Battlefront Ultimate Edition, this comes with everything that is included in the Deluxe Edition Plus their new Season Pass. 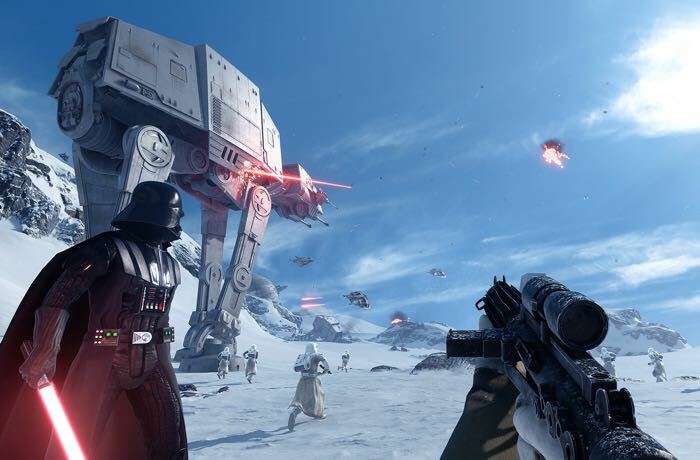 Included in this new Ultimate Edition of Star Wars Battlefront is a number of in games items which include the Dl-44 Blaster, Ion Torpedo, Ion Grenade and more. We’re also excited to announce the Star Wars Battlefront Season Pass*, which extends the game with four expansion packs coming at a later date, filled with new content that will take you to new locations across a galaxy far, far away. Star Wars Battlefront Season Pass owners will also secure two-week early access to each expansion pack and an exclusive “Shoot First” emote. The Star Wars Battlefront Ultimate Edition is now available to pre-order for $120, you can find out more information at the link below.